Happy Tuesday (or Wednesday for some of you)! I have another lovely Maya Cosmetics polish for you tonight! 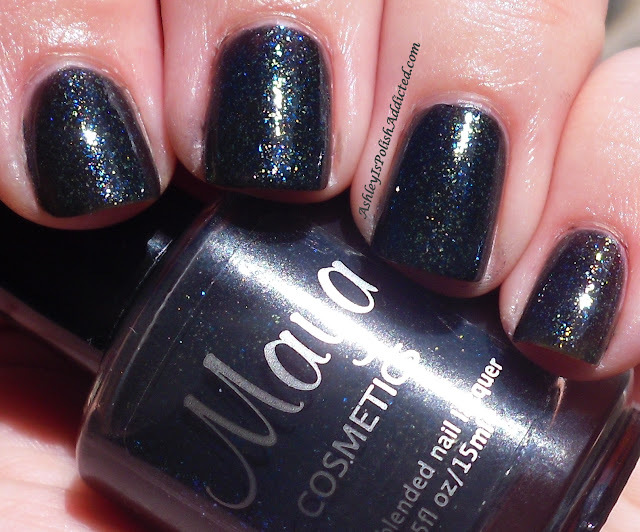 Maya Cosmetics No Big Deal is described as follows by Kat, creator of Maya Cosmetics, "Green-leaning charcoal gray base with blue and green/gold/blue color-shifting micro flakes." 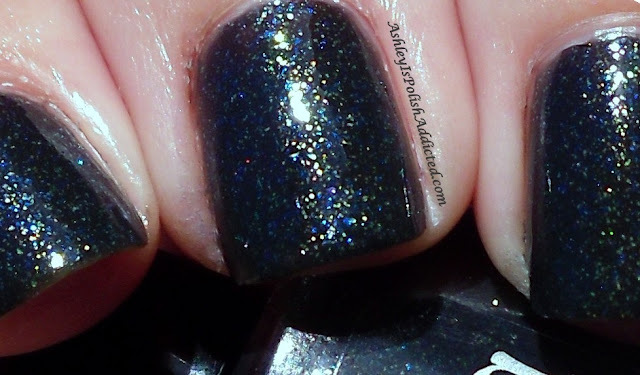 This polish is so stunning in person - it shifts all the colors just as described and the micro-flakes are to die for! The formula was great - just as I have had with all of my other Maya polishes. 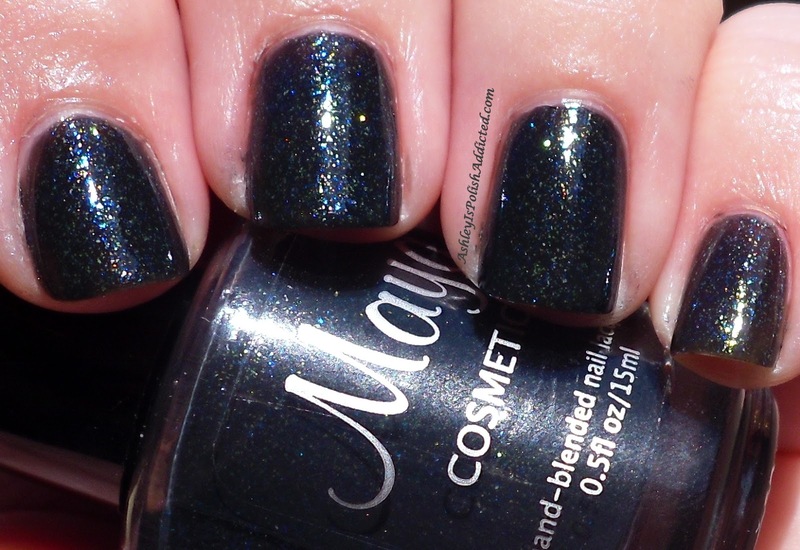 I used 2 coats and it was smooth to the touch (and dries shiny!) but I did top it off with one coat of Poshe. I had a hard time capturing just how amazing this polish is with my camera. (Have I mentioned that my camera hates me? Yeah, I thought I had. LOL) Anyway, to see more pics (ones that show the flakies!) visit Pointless Cafe's post here. Now, on to the pics! 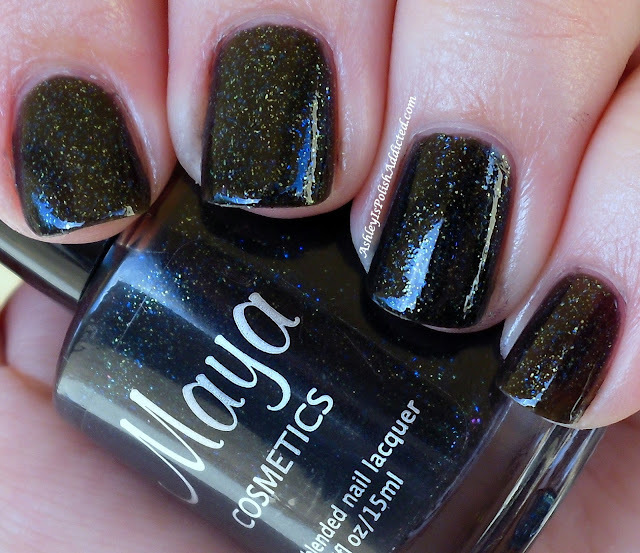 Maya Cosmetics polishes sell for $8 for a full size 15 ml bottle. You can purchase through her website here. Also make sure to follow via Facebook, Twitter and her blog to stay up-to-date on stock and collection information! You can see my other Maya Cosmetics posts at the links below! LOOOOVE! And wearing right now. One full day down and no tip wear at all.